Every time I write these updates, it feels like an eternity has passed since my last. However, 4 major hurricanes, 4 college football weeks, a papal visit, and total solar eclipse can make you feel that way. 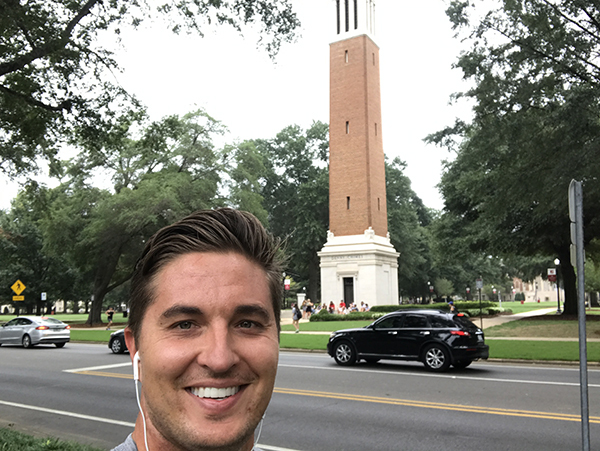 During the month of August, I made my annual trip back to my alma mater, the University of Alabama. Why? Well, as you might have guessed, Alabama football! But more than that, it’s a reminder of who you are and where you’ve come from. The principles that have guided me in my successes were learned there. During my annual visits, I take a run around campus to remember the “glory days” and reflect on the principles I learned there. The motivation to achieve greatness is ignited immediately as I run down Bryant Drive. As I approach the business center and see the students walking out of the computer lab, I feel the nostalgia of the semesters spent learning the principles of finance and excel calculations that I still use today. Two miles later, I see the vast expansion of the campus that was advanced by the great Dr. Robert Witt, who served as President of University for over 10 years. Dr. Witt’s philosophy was to seek opportunities where others are not looking. That philosophy has grown the University’s student population from roughly 22,000 to close to 40,000 and increased out of state enrollment by 50%. When I think about what we’re doing at Farmfolio, I can’t help but think that we are following that same philosophy, looking for opportunity where others aren’t. 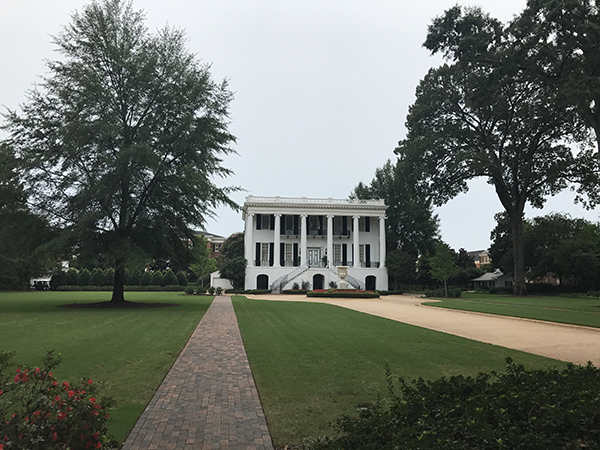 University of Alabama President’s mansion and former home of Dr. Robert Witt. The final segment of my run is always one full lap around the quad and I finish at Denny Chimes. The lap is approximately half a mile and the path is covered by the shade of hundreds of trees that would write best sellers if they could. The memories flood my mind and a rush of adrenaline hits me like a freight train as I glance over to see the Capstone and Stadium in the background. My pace picks up with the new energy and propels me through the remaining 400 meters. As I sit on the steps of Denny Chimes and reflect on our progress at Farmfolio, I’m hit with the same boost of adrenaline. We have accomplished so many things thus far and to think that we are only in our Sophomore year at Pietrasanta, gives me incredible motivation going forward. One’s successes are not defined by a single person or action. It’s a culmination of a series of life experiences that create something special. This incredible journey would not be possible without the great friends and educators at the University of Alabama and I’m eternally grateful for that. On a side note, we did win the game! It’s here! We will be launching Panama Golden Pineapple on Nov 1st and we are very excited to be partnering with the family-owned Verba Fruit Co. for this project. We will be structuring this project according to the feedback that we have received from all of those that have participated in our recent surveys. This project will be run by an all-star management team with over 50 years of combined experience in pineapple production and sales. Farmfolio will serve as the General Partner and the Verba team will be co-investing in the project. During the coming weeks, we will be rolling out a full profile of the project, including detailed financials, PPM, videos, and photos. Meanwhile, we have prepared an initial term-sheet, which can be downloaded below. In order to give us a better idea of initial funding, we would appreciate any interested parties to give us an estimate of your potential investment amount. We are happy to release our latest video update from Pietrasanta. Our team worked very hard to produce this and we hope you enjoy it! Cattle movements during the past 4 weeks have been slowed by the excess rains caused by the irregular series of strong hurricanes in the Caribbean. Even though we are well below the hurricane belt, the unusually large size the recent Hurricanes pushed excess moisture as far south as Colombia. The growth cycles of grass are dependent on rain, but also sunlight, which has been hiding behind the rain clouds. We have been managing the situation with leftover feedlot material from the dry season and we expect a return to business as usual in October, as the hurricane season dies down. Beef prices have also dropped a bit as a result of this phenomenon. Current prices are hovering around 4300 COP per kilo for cattle between 300-320 kilos, which is down around 4.5% since early August. We will attempt to make up the lost time by increasing cattle movements for the remainder of the year. This year we will implement a new inventory system to have an updated cubic count of the teak plantation at Pietrasanta. However, recent visits by our local partners suggest that growth rate is above average with trees reaching 34 centimeters in diameter and surpassing heights of 15 meters. In order to maintain this growth rate, we are preparing for the 2017-2018 thinning cycle, in which we will be removing an average of 200 trees per hectare, thus retaining the trees with the most favorable yield for future harvests. Latin America is still the most promising region for safe and sustainable investments in the teak industry, given the weak enforcement of legislation against unchecked deforestation in South Asia and Africa. Many buyers are looking exclusively for certified plantations, which bodes well for Pietrasanta and provides a positive scenario for exports in years to come. While the rains have slowed cattle growth, they have had the opposite effect for coconut production. During the transplanting period, we couldn’t have had better luck. Extended periods of limited sunlight are a normal occurrence for coconut trees. During the monsoon season in Asia, trees often go weeks with less than an hour of direct sunlight. The trees get most of their nutrients from the soil and being that we’re in one of most fertile valleys in the world, we’re in good shape. The implementation team has now completed over 110 hectares of planting and they are slated to finish the remaining 40 hectares by mid-October. Once complete, we will order our next and final batch of coconut seeds for the remaining 100 hectares to be planted in April of 2018. Our irrigation construction is also underway and all of the material for the first 150 hectares hasarrived at the farm. 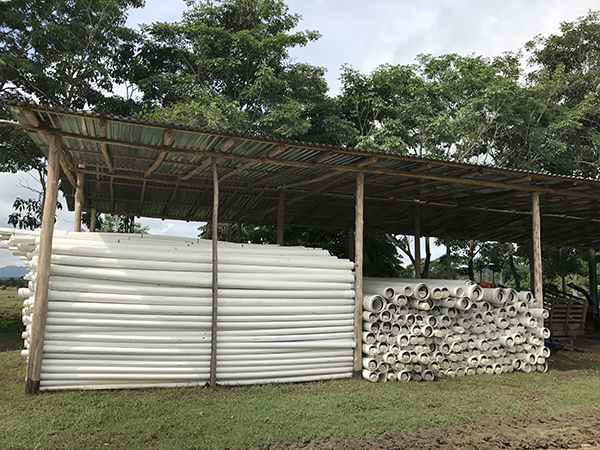 In total, there will be 89,000 pieces of PVC tubing and 15,000 sprinkler heads that will be capable of distributing over 400,000 cubic meter of water annually. This system will supercharge our production and ensure proper water distribution, even during the dry months. Our accountant, DennisCameron, paid us a visit in mid-August, which was his first visit to Colombia. During his trip, Dennis visited Cartagena, Medellin, and of course the farm. Check out Dennis thoughts on the farm in this short video clip.